A pitbull in the courtroom, attorney Kyle Kosieracki advocates for his clients with the fierce approach that many find desirable in a litigator and trial attorney. When necessary, Mr. Kosieracki can also work collaboratively in transaction deals that require negotiation, such as is often required with his business clients. 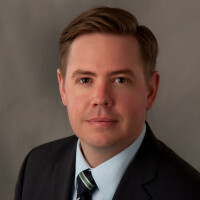 Kyle Kosieracki approaches each client respectfully and with the legal know-how and flexibility to assist his clients with obtaining the goals his clients are seeking. Personal Injury – Car Accidents, Slip and Falls, Premises Liability, School Accidents, Work Accidents, etc. Expungements – Criminal Expungements, etc. University of Minnesota – Twin Cities, Minnesota, B.A.